There’s someone breaking into houses in your street. Did you know that most “security screens” on the market can be kicked in? Steel security screens give you peace of mind. Here’s the low down on steel and security for your home. Why do I need security screens? It might seem obvious, but you can improve your security by installing security screens for your doors and windows. They act as a physical barrier to anyone intent on breaking in. They’re also a visual deterrent to would-be thieves. But they can also give you the peace of mind to leave your windows and doors open, allowing for better air flow and improved ventilation (while keeping adventurous toddlers in). They also help to keep out those Brisbane insects – mosquitos, spiders and cockroaches love our Brisbane climate and the right security screens can keep them at bay. If you just want an insect screen, then a lightweight, inexpensive, hardware store aluminium screen should suffice. However, that won’t keep out the bigger pests – criminals! If so, you need security screens, not just flyscreens. What is a screw clamp and why do you need it? If you are looking for the best option on the market then you should consider a security screen that incorporates Crimsafe patented Screw-Clamped™ technology. This is a unique system of fixing the mesh to the frame that means that the screen cannot be kicked in. It provides a top-of-the-line solution to the problem of securing your windows and doors. What are welded screens and why do you need them? Welded screens provide excellent security on a budget. Welded steel or aluminium security screens also provide a very high level of protection. They are more likely to resist a physical onslaught compared to a screen that has been riveted, wedged or crimped to the frame. Ideally, 7mm mesh should be used. If you choose to go down the path of a welded security screen, insist on a product where the mesh is securely welded to the frame at regular spacing. Also ask whether there is an option of keyless emergency exit to provide your family with a safe and effective escape route in the case of a fire. An aluminium security screen can be a great solution so long as it is manufactured to a very high standard. How much research and development went into the design of the security screen prior to manufacture? Ideally, the company installing your security screen should be the very same company you are buying it from AND the same company that manufactured it. Even more importantly, that company should have a proven track record and a well-established reputation in the industry, and the testimonials to prove it. Is the security screen manufactured in accordance with Australian Standards? You should consider using a company that adheres strictly to the Australian standard for the manufacture of security doors and grills: AS5039-2008. There’s also an Australian Standard for installation: AS5040. Insist on a company that complies with both. Are all of the materials used up to scratch? It isn’t just the main framework of the security screen that’s important. You have to look at it as a whole package of components. You should always insist on a security screen that utilises a high-grade stainless steel mesh, as it won’t rust. 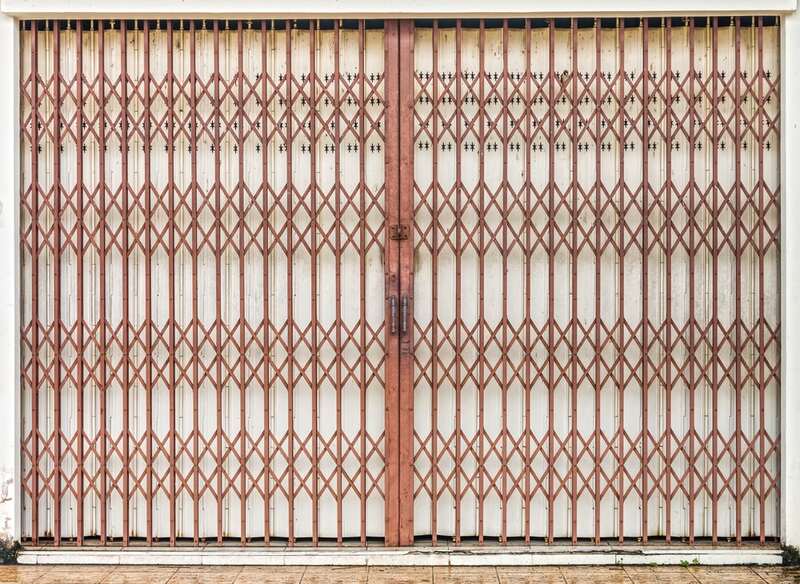 If you decide on steel security screens, you should also check as to whether the steel utilised in the manufacturing process is high quality and whether it has been galvanised or otherwise protected from rust. You need to be satisfied that the hinges, locks and strikers used are also of a very high quality. A security screen is only as strong as its weakest point. An inferior lock or hinge will completely undermine the function of the security screen. Insist on a security screen that utilises a well-known brand of lock such as the ultra-strong Lockwood Triple Lock. Ask about the finishing on the security screen. Is it spray-painted or powder coated? Powder coating may give you a thicker coating, more even finish and a wider range of colours than a painted finish. This can contribute to the longevity of the security screen. At Vincent Security we manufacture, supply and install only the best security screens on the market. We have developed our very own VS (Very Strong) Welded range as well as being a licensed Crimsafe manufacturer. And we have the track record and the satisfied customers right here in Brisbane to prove it. Contact us at Vincent Security today on (07) 3849 4555 to discuss your specific security needs and for an obligation-free measure and quote.